The Shore Path is a unique, century old walk along the shores of Frenchman Bay. 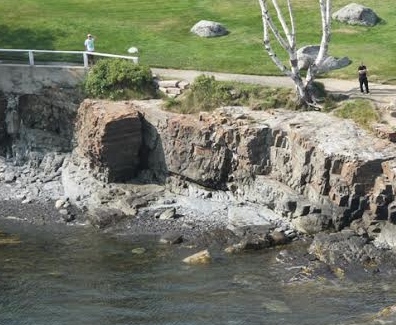 Just under a mile long, it is one of the most popular activities in Bar Harbor. On the water side it encompasses the harbor, town pier and beach, and spectacular views of the Porcupine Islands, Balance Rock, the Breakwater and Egg Rock Lighthouse. Shore side you’ll stroll past old inns, rambling estates, gardens and a small park. The walk ends at Wayman Lane although there are two access points in between. This lovely walking path was made possible by the VIA working with the landowners who generously sacrificed their privacy so the public could enjoy this amazing walk. 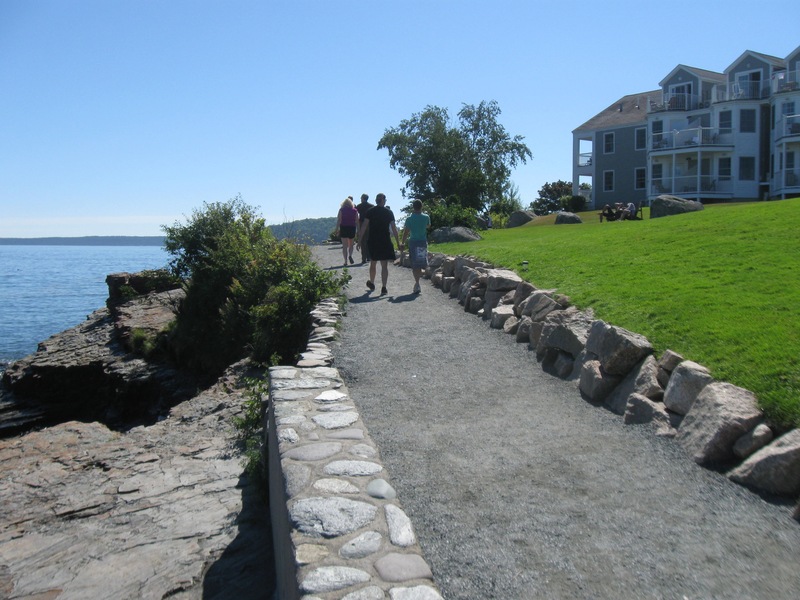 In return, the VIA accepts the responsibility and costs for maintaining the path and seawall improvements. Please do respect their property and privacy while enjoying this gem. 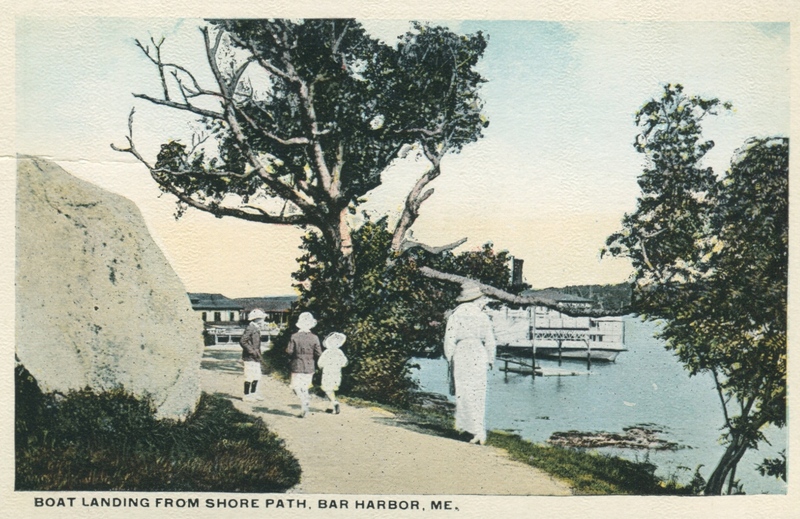 The Shore Path dates to 1880. The VIA has made significant improvements to the gravel surface and stone retaining walls. We also added stone benches in 2012 and historic informational panels in 2013. The section of path between Agamont Park and Grant Park was recently widened from three feet to six feet to better accommodate current foot traffic. 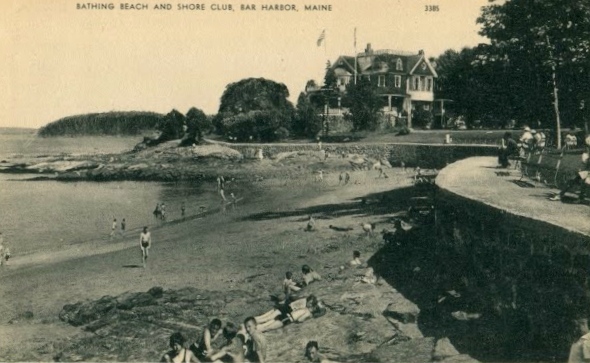 Many decades ago when postcards were made by photographic companies far removed from Bar Harbor there was a miscommunication in passing on the correct name of the path due to our “downeast accent”. When the post cards for the Shore Path finally arrived from the printer they had the following title: “The Shaw Path”!